Under whose laws are astronauts in orbit governed? 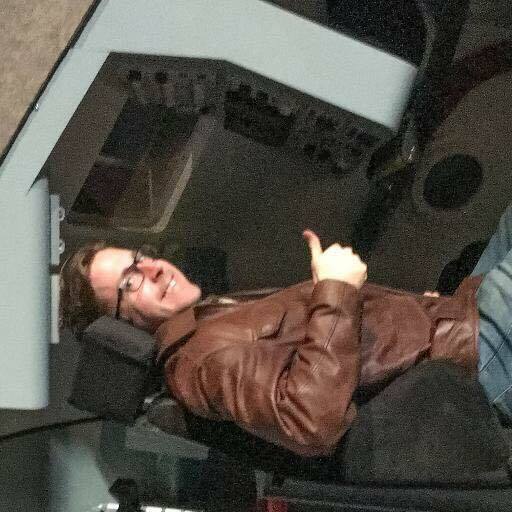 Who has legal jurisdiction in space? Can laws even be enforced in space when there is no good (or at times even possible) way to police astronauts? Will new or different laws be necessary for the orbital frontier? For other worlds? Is it a necessary eventuality that those working in space will declare themselves a sovereign “nation” – delivering a new Declaration of Independence from Earth? These topics have been addressed fairly extensively in the science-fiction genre. 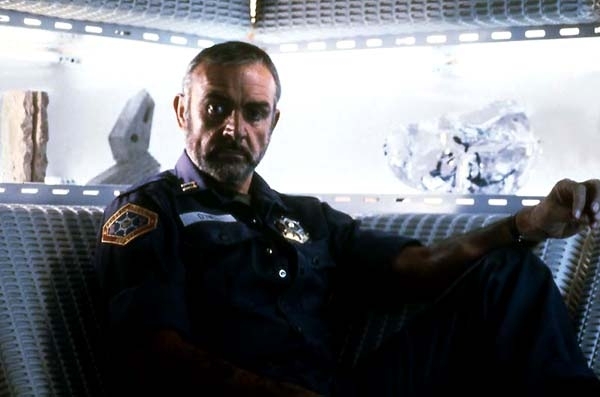 Popularly, Outland, a film starring Sean Connery in the 1980s, follows a “federal marshal” of sorts whose job it is to maintain the rule of law on the rough-and-tumble mining stations of Jupiter’s moon, Io. 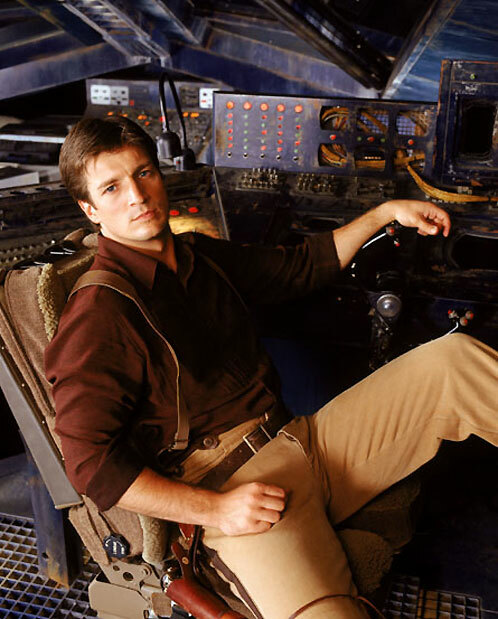 The cult hit Firefly follows a less-than-law-abiding private starship crew eking out an existence in the aftermath of an interplanetary civil war where frontier independence was attempted and failed. The common themes here recognize that space is truly a frontier, and those who are the first to work there will necessarily be far (the farthest yet!) from those that make and enforce the laws that allegedly govern them. Obviously this presents problems. It’s no surprise that these stories tend to fall into the “space western” camp, because perhaps the best parallel human history possesses for how space will be populated is, ahem, how the west was won. The topic has also been legitimately addressed, at least insofar as it has had to be. Many people don’t realize that legally today, spacecraft are considered “native soil” of the country that owns them. The U.S.-owned modules of the International Space Station, for instance, are considered American soil, the Russian-owned modules are Russian soil, and so on. One can imagine quite a childish scenario should our countries ever declare war, where astronauts and cosmonauts each retreat to their own modules and close the hatches, awaiting their return trip home on separate spacecraft. However, I suspect a little civil disobedience would rule the day in orbit should terrestrial nations with cooperative astronauts ever come into conflict. The harsh realities of space can only bring into sharp relief human limitations, and as a result, space has historically and consistently been a frontier of cooperation. 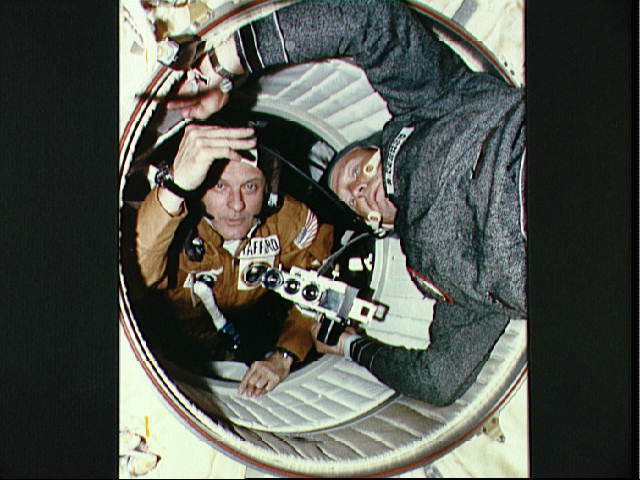 Long before the Berlin Wall came down, the ideological and political barriers of the Cold War were surpassed by cooperation in orbit between the United States and the Soviet Union starting with the Apollo-Soyuz program. 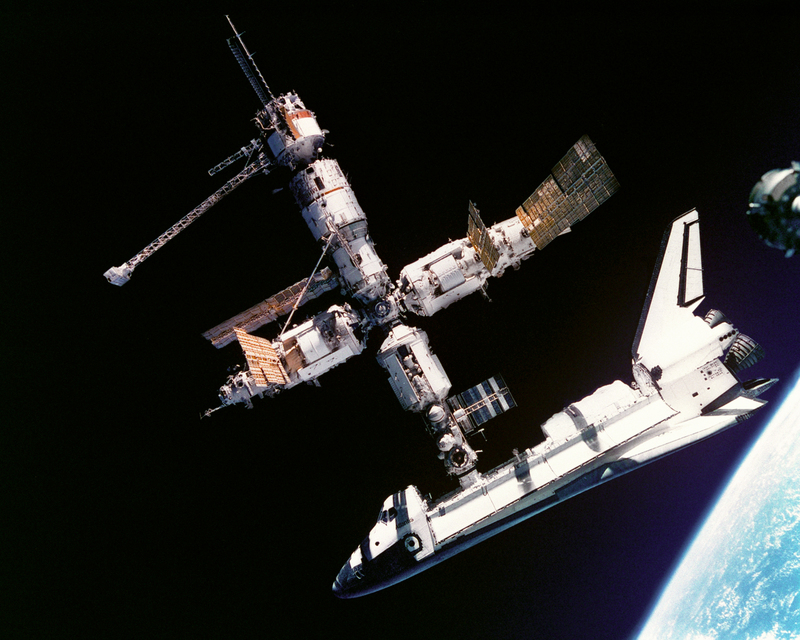 This cooperation continued with Shuttle-Mir missions through to the construction of the International Space Station. Today, the International Space Station itself represents one of the most, (and perhaps the greatest,) globally-cooperative projects in human history, involving 15 nations so far with more in line to participate. So, I don’t buy that these men and women, who have formed bonds and a working kinship practically impossible for any of us who have not been there to understand, will simply turn their backs on each other because someone on the ground tells them to. The real wildcards to me in this hypothetical future, however, are the multinational corporations. What if everything those of us who support “private space” are hoping for succeeds, and private corporations loft their own spacecraft and stations into space? Well, who’s sovereign soil are those spacecraft? The country that launched them? I don’t think that logically follows… And as I said, if a corporation “resides” and legally operates in more than one nation, is it a free-for-all, like international waters – which would in turn require its own set of laws? Just a few thoughts. As always, comments welcome.